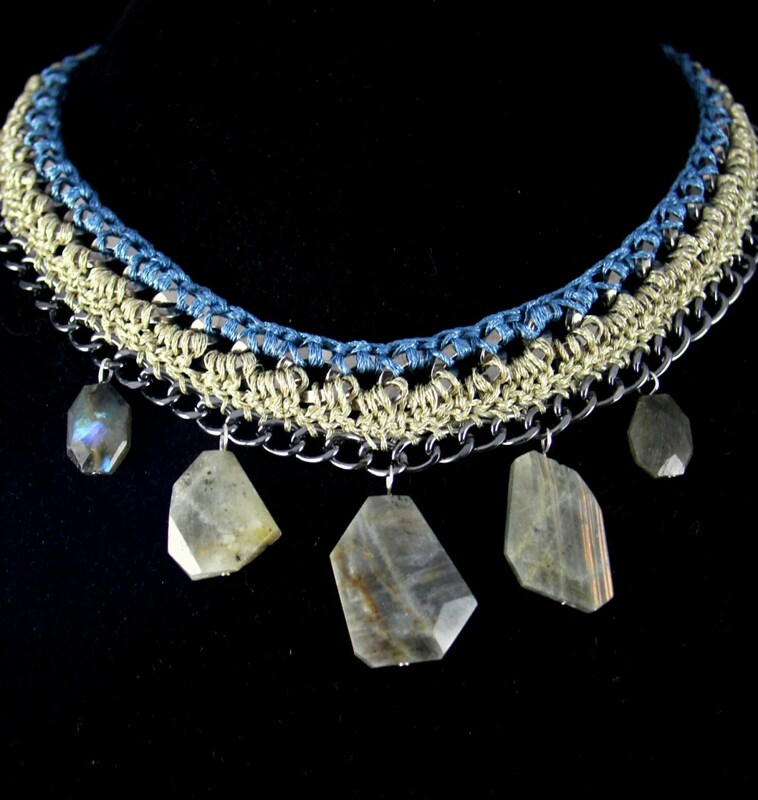 Grey Labradorite Faceted Beads Statement Necklace. Crochet. The FLASH will remind you of this stones purpose. Like “a flash of light in the darkness”, Labradorite will help reveal your spiritual destiny to you. Not only will it reveal your path, but it will help you to develop the wise use of your psychic abilities so they are not abused. Electric blue is here to stay. 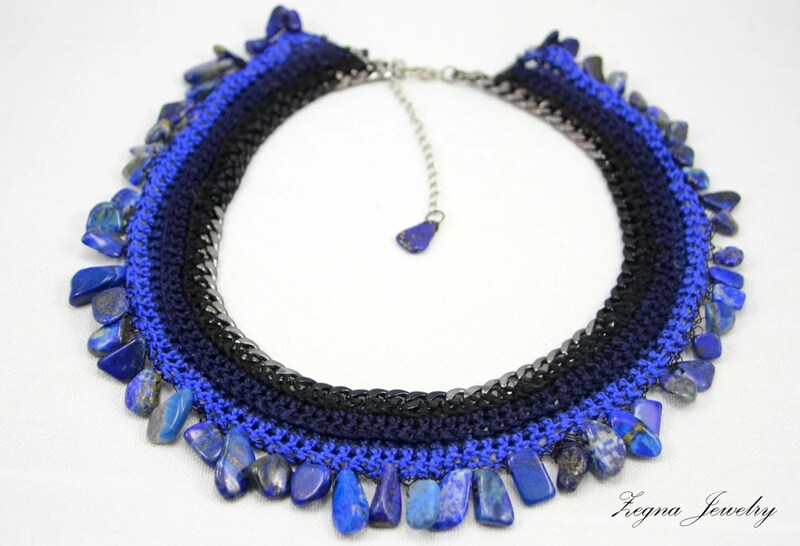 people are wearing it already and designers continue adding cobalt shades to their Autumn/Winter 2013-2014 collections. What do you think of cobalt blue? Add a kick of colour to your look with elegant earrings or bracelet with Lapis Lazuli Beads or create a striking finishing touch with a statement necklace. Invest in cobalt blue jewelry! 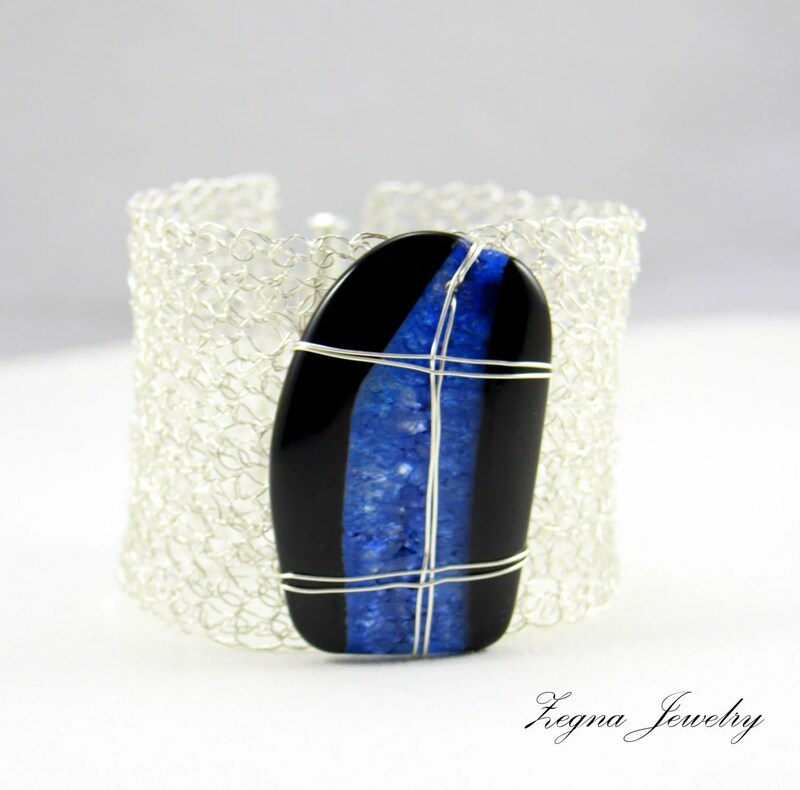 Blue and Black Druzy Agate Slice silver Cuff. How to wear the masculine fashion trend? The masculine trend, seen on the runways and red carpet, makes a real statement. The secret to pulling off the masculine trend couldn’t be simpler — just add heels! 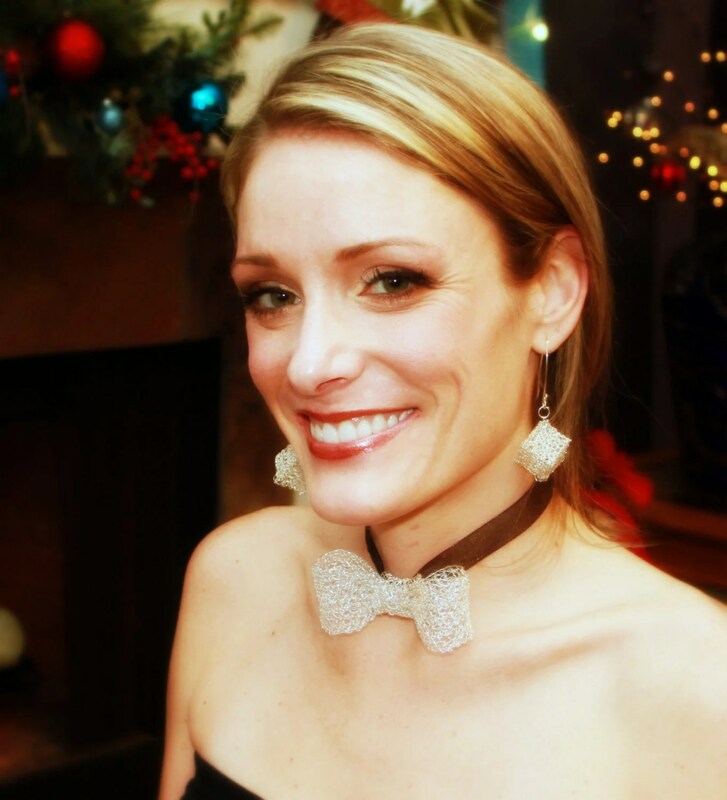 Silver bow tie will add touch of glamour to any outfit. 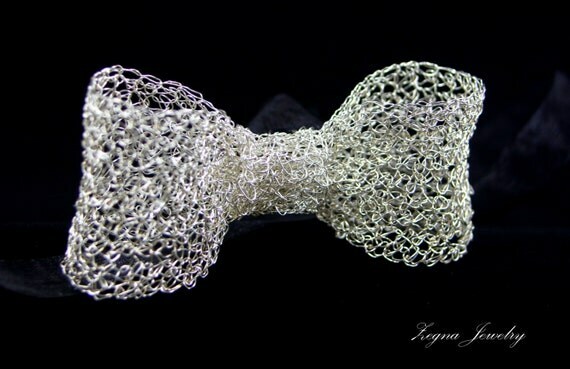 This piece is hand crocheted of silver filled wire. You can wear it as a tie choker or a necklace! 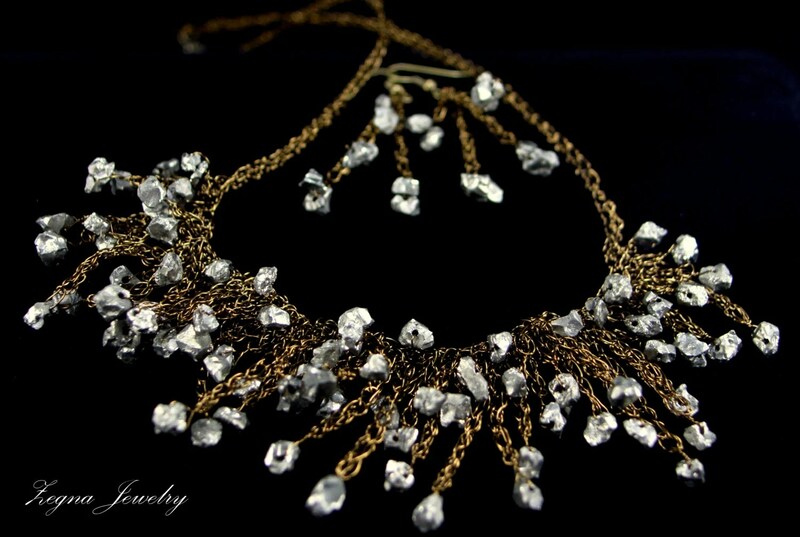 Silver wire made it very shiny and crocheted technique let me make big statement necklace absolutely airy and light. You will love it! 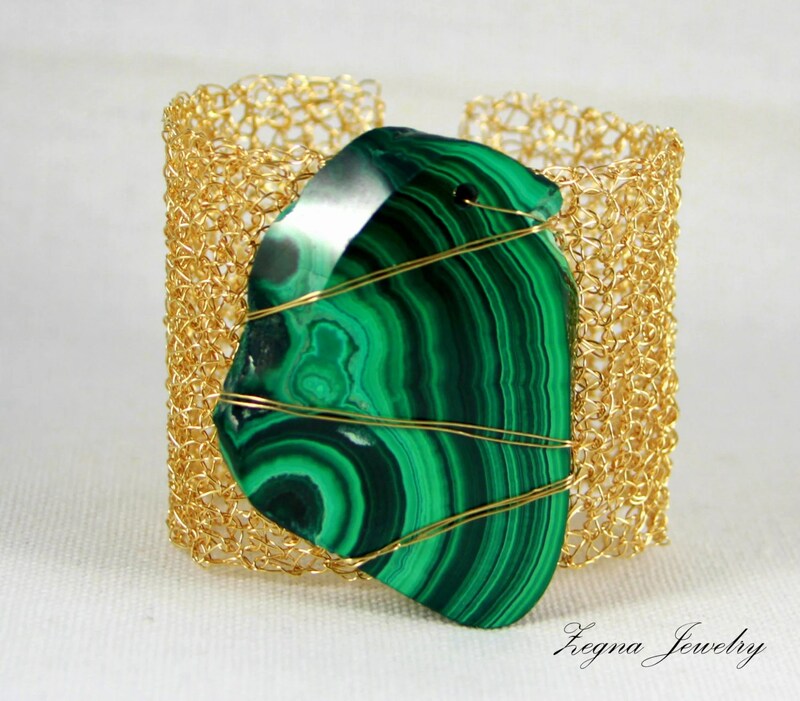 Malachite, whose name comes from the Greek word “mallow”, a green herb, is highly valued for its distinctive green on green swirling bands, no other natural stone looks like it or is more recognized. Very Stylish and Unique bracelet is crocheted of fine 14 K Gold Pleated wire (Made in USA) and featured with rare Natural Malachite Slice. – Closure: Gold Pleated 5-strand slide clasp. It’s official – Kate Middleton is the queen of style. The Duchess of Cambridge has been crowned the nation’s favorite fashion icon, and interestingly it seems her appeal reaches across all the ages. As Kate waits for the birth of her first royal child, a new report claims that she and Prince William have been going to great — and maybe even peculiar — lengths to make sure they’re ready for the big day. Kate Middleton and Prince William are making sure they have every single base covered in the lead-up to the birth of their first child. 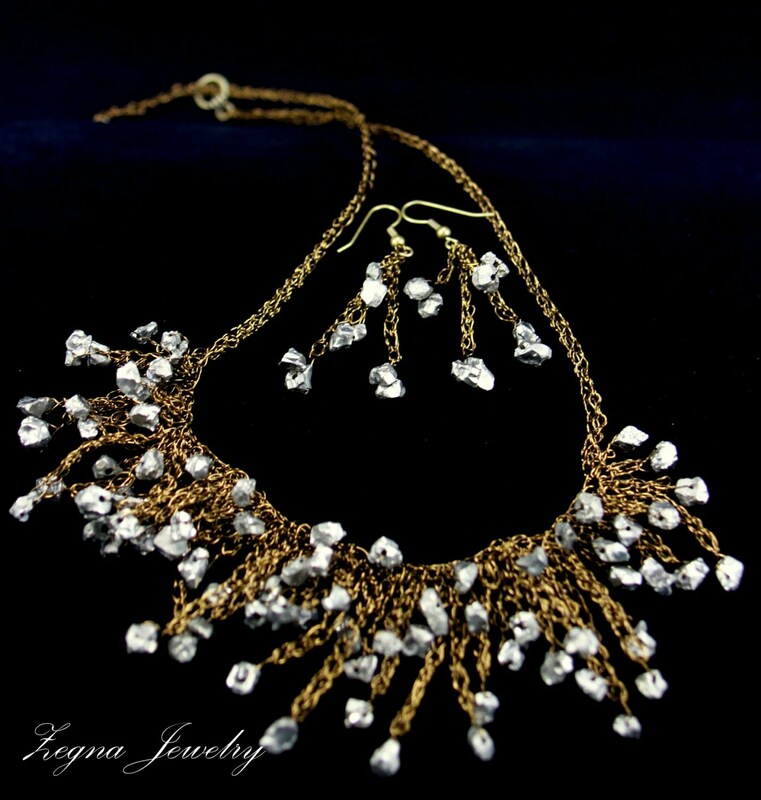 In my interpretation of Kate Middleton’s style, I used jewelry set with Pyrite chips. 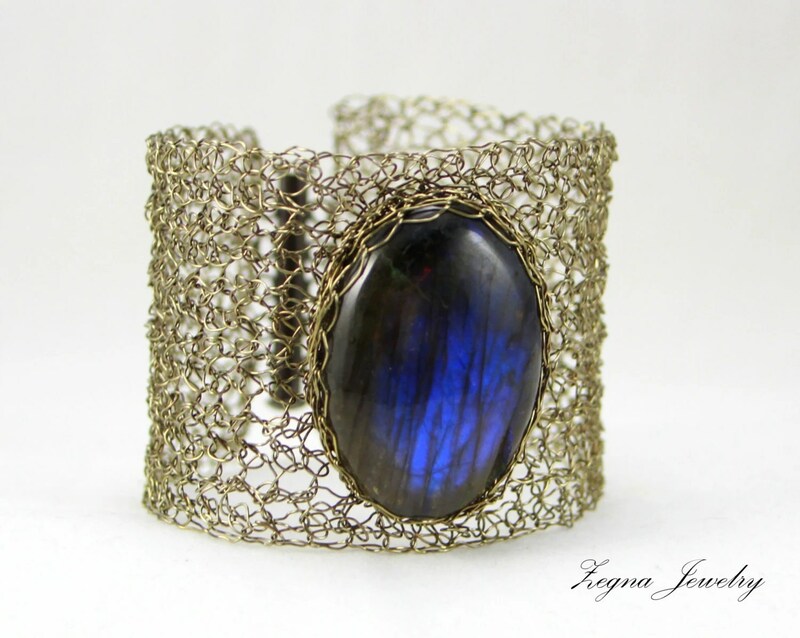 Materials: Coated Copper wire (Made in USA), pyrite chips, brass clasp.